As you are aware, the Oswego Community Unit School District 308 Board of Education has had to make many difficult decisions over the past year in order to work towards a balanced budget and a secure financial position for the future. It is not a position we want to be in, or one that any district should face in Illinois. 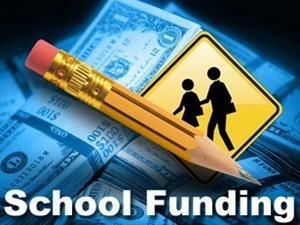 Our state ranks last in the country for state funding of public education. We ask you to join us in sending a strong message to Springfield, that we are insisting that our schools receive the funding that they are entitled to by law. While we are pleased that Illinois adopted a new formula for funding that is tied to the cost of implementing educational practices, which the research shows enhance student achievement, the state is not on track for actually funding the formula. Additionally, we receive our Mandated Categorical (MCAT) payments from the state 3-6 months behind the date we’re told to expect them, our most recent one which was expected in September has not yet been issued. We’ve put together resources to help explain some of the things that have contributed to the public education funding crisis, as well as information about how to contact legislators and a few talking points. We encourage all parents and community members to consider voicing their frustration about inadequate funding for Illinois schools and the detrimental effects it is having on our district. It is our hope that we can preserve all the things that make our district such a wonderful place.